Dental care for pets is extremely important. When you bring your pet into our Council Bluffs IA veterinary clinic, our veterinarian performs tests and examines your pet’s entire face and neck, looking for common problems, like lumps and bumps, discoloration of the teeth, gums and tongue, bad breath and signs of excess plaque or symptoms of gingivitis and periodontal disease. Dogs and cats can develop gingivitis, periodontal disease and sores and abscesses just like humans, and these dental diseases and infections can be very hazardous to your pet’s health. A serious infection in your pet’s mouth can make its way into your pet’s bloodstream, causing a life-threatening infection. 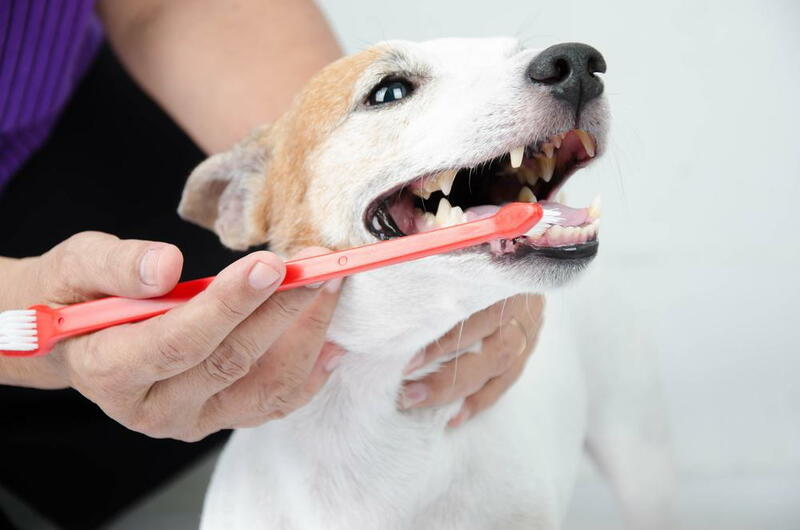 To prevent these dental diseases, your pet needs to have his or her teeth brushed on a regular basis and have regular veterinary dental cleanings. Your pet’s dental exam with our veterinarian in Council Bluffs includes an oral health checkup that looks for signs of severe dental disease and infections. We’ll also do a basic exam that checks for signs of parasitic infestation and lumps and bumps on your pet’s skin, head, neck and face. Then, we will thoroughly clean your pet’s teeth, removing all the plaque and tartar. If we notice any oral health problems, we will recommend a course of treatment. We can also help you choose the right products for keeping your pet’s teeth clean at home. To schedule your dog or cat’s pet dental exam, call us at 712-323-0598.